And it sent us a picture. In a world’s first, Chinese lunar probe Chang’e-4 just touched down on the far side of the Moon, the side that always faces away from the Earth. The probe landed near the lunar South Pole in the Aitken basin. 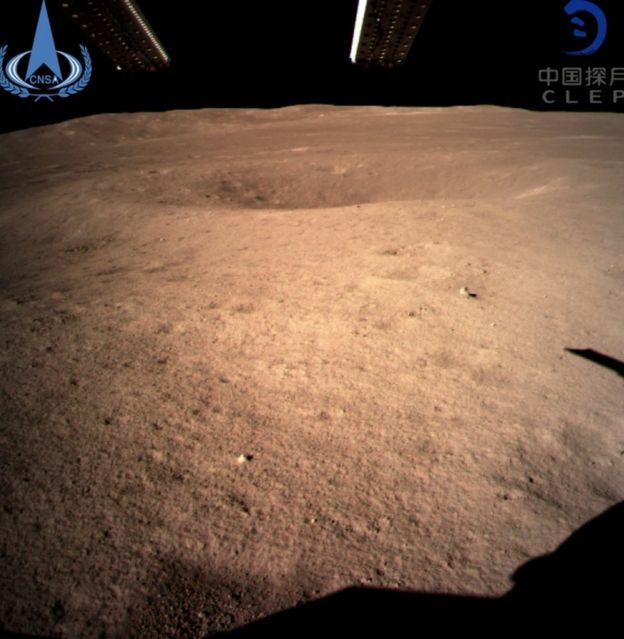 After touchdown, Chang’e-4 took a picture and sent it back to Earth via a relay satellite that was launched in June 2018 — signalling a huge win for China’s space exploration ambitions. The far side of the moon is pockmarked by large craters and rugged, mountainous terrain, making the landing far more difficult than on the near side. Chang’e-4 launched on December 7 from the Xichang Satellite Launch Centre, and entered lunar orbit five days later. The probe will make its way to the Von Kármán crater — an impact crater 1,550 miles (2,500 km) across — inside the Aitken basin. 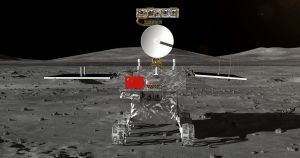 Chang’e-4 will collect rock samples and compare them to samples taken from the other side of the Moon. It’s also carrying a tiny biosphere containing Earthly species ranging from potato to the fruit fly, and will report on its progress. And most fundamentally, it shows that China’s space program is committed to — and capable of — exploring entirely new territories in the Solar System.